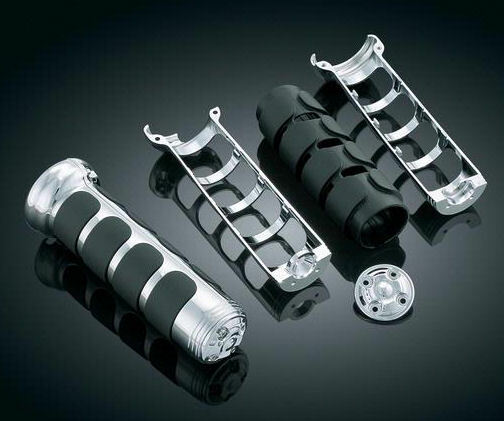 Kuryakyn ISO Grips for use with OEM Heated Grips. GL1800 06+ & F6B Models. Will work on Can-Am RT/F3 Heated Grips with modifications. 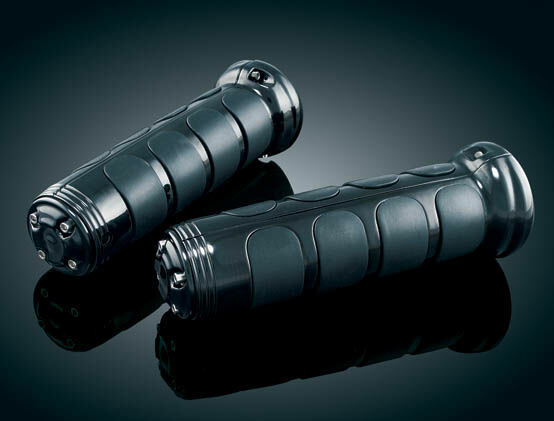 Now you can have the luxurious feel & custom look of ISO-Grips without losing the heat! This clamshell design attaches right over your stock grips on the GL1800 allowing the heat to come through. These Chrome or Powder-Coated Black Grips dampen handlebar vibration while providing a sure, cushioned feel for long haul comfort. High quality and great looks. Provides great style and comfort, these grips provide a soft, non-slip surface that dampens operating vibration. You will find that the heat still does work, you will not have as much heat come through as felt directly on your stock grips. 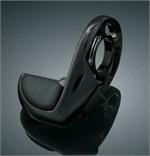 Get total comfort with the matching Contoured Throttle Bosses (not included). Chrome or Black Contoured Throttle Boss for the Right Side is available, see related items below. We did install the standard Left and Right Contoured Throttle Bosses on our own Spyder. The standard Chrome Contoured will work, they are slightly smaller in Diameter. Not compatible with standard Throttle boss. Sold in pairs. 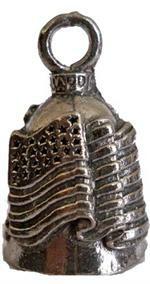 6 1/2" Total Length, Select Chrome or Black above. Also can be installed on the Can-Am RT with modifications. Helpful Installation Video for Spyder RT or F3. The Can-Am RT OEM Grips are a little thicker then stock GL1800 Grips but will still work. You will have to trim the raised end off the stock RT Grips. On the SE5/6 model you will also have to trim some of the bottom off the Paddle Shift. The Paddle Shift will hit the ISO Clam Shell if not trimmed with a rotary tool such as a Dremel. If you do not want to modify your Paddle Shift or stock Heated Grips on your Can-Am RT, Then Do Not Purchase these Grips for that Bike. REMOVE End Caps, REINSTALL the End Cap Bolt. 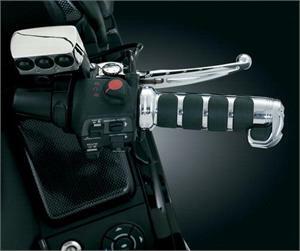 TRIM Raised end even on the Stock Heated Grips. See Picture Below. SLIDE the new Bottom Clam Shell over the Grips. You will be test fitting the Clam Shell and SE5/6 Paddle Shifter. You will need to take a little off the top of the Paddle Shifter at a time with your Rotary (Dremel) Tool. When you get close, then start the bike up, leave parking brake on. Test verifying proper shifting into 1st then Neutal and reverse. Take your time you will get it and will look like below on our own RT SE5/6. A Hose Clamp or Channel Locks and a Thick Rag are extremely helpful in pulling the two pieces of the Clam Shell together especially on the RT. Just use slight pressure because they are just plastic.